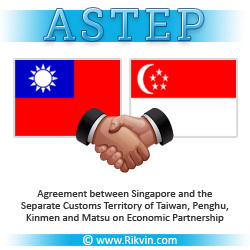 After over two years of negotiations, Singapore and Taiwan have concluded the ASTEP last week. For Taiwan, the ASTEP (Agreement between Singapore and the Separate Customs Territory of Taiwan, Penghu, Kinmen and Matsu on Economic Partnership) is the first agreement of its kind with a Southeast Asian country and a top trade partner. Under the agreement, Singapore will remove custom duties on all products imported from Taiwan immediately. Taiwan, in turn, will lower its tariffs in three phases. With immediate effect, it will remove import tax on 83% of Singapore’s exports. Forty agricultural products such as pineapples and rice are excluded. 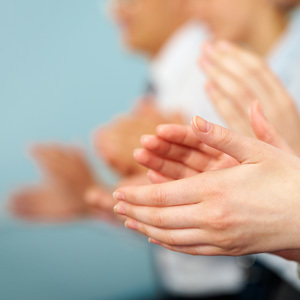 Over five to fifteen years, duties for these and other products will be lifted. Other than trade concessions, Singapore companies and investors will have access to a market of 23 million people and be able to take part in government procurement tenders. In a gesture that helps it wean its economic dependence off China, which accounts for 40% of its GDP, the ASTEP is integral to Taiwan’s future on two levels. This agreement will not only give Taiwanese firms access to Singapore’s small but increasingly affluent consumers, it gives Singapore services providers opportunities to complement Taiwan’s industrial economy. The pact is a win-win for both, but particularly significant to Taiwan, which has been to date diplomatically shy. As discussed early this year, in our announcement “Singapore, Taiwan to Conclude FTA Talks,” the ASTEP is expected to boost bilateral relations and trade between the two long term partners. As it is, Singapore is Taiwan’s fifth largest trading partner and its sixth largest source of foreign direct investment. Furthermore, bilateral trade between Singapore and Taiwan registered US$28.2 billion last year, making Singapore Taiwan’s fourth largest export market. According to Taiwan’s Ministry of Economic Affairs, ASTEP is expected to add $700 million to Taiwan’s GDP over the next 15 years. It will also generate over 6,100 jobs and produce over $1.4 billion in local output. The ASTEP is set to raise Taiwan’s international profile too. It comes close on the heels of another free trade agreement (FTA) with Trans-Pacific Partnership (TPP) founding member, New Zealand, which has been sealed in July this year. Both agreements are set to bring Taiwan closer to joining not only the Regional Comprehensive Economic Partnership (RCEP), but the TPP by 2020. Membership in the TPP is a goal Taiwanese President Ma Ying-jeou has articulated and that which will bring Former Taiwanese Vice President Vincent Siew, along with an 18-member delegation, to the US late this week.